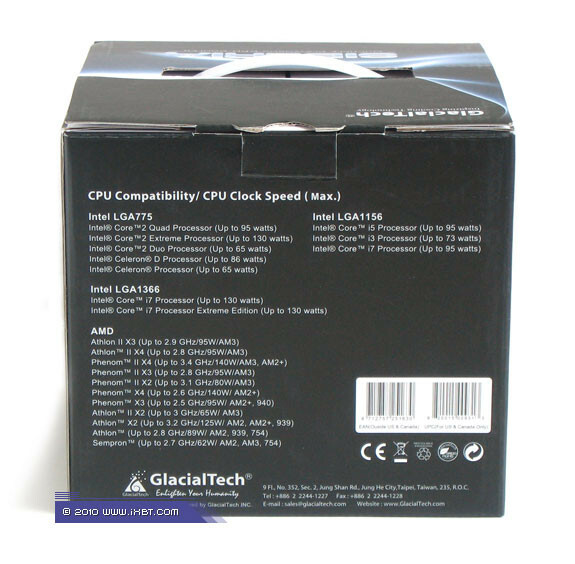 In GlacialTech's lineup Siberia accompanies Alaska. 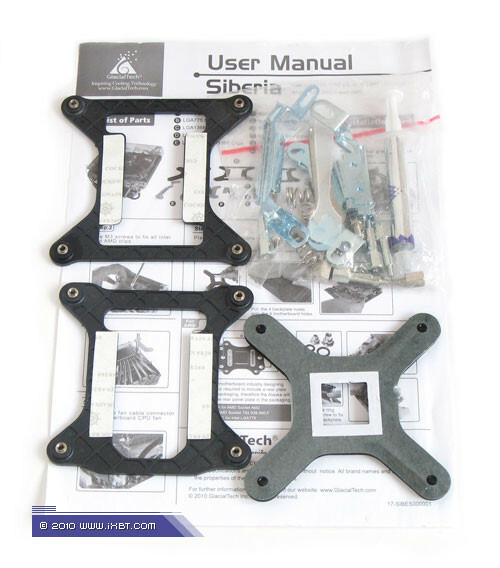 But while Alaska is a universal solution good for both regular users and overclockers, Siberia is a more specialized, niche product made for those who like silence and prefer HTPC enclosures. At least this shows in the form factor based on a large horizontal heatsink equipped with two fans. 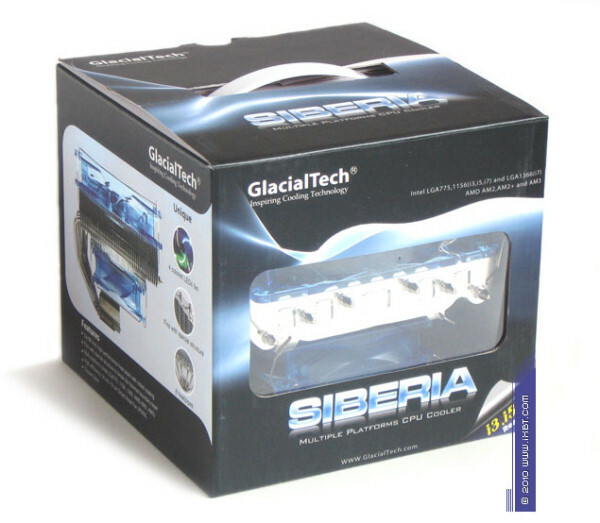 The GlacialTech Siberia comes in a stylish black/grey cardboard box with a small film window. The box provides a detailed description of the product, including specifications and images. The bundle includes multi-platform bracketry for Intel LGA775/LGA1366/LGA1156/LGA1155 and AMD Socket AM2/AM3 sockets, a syringe of company's thermal grease, a plastic spatula and a brief user guide.